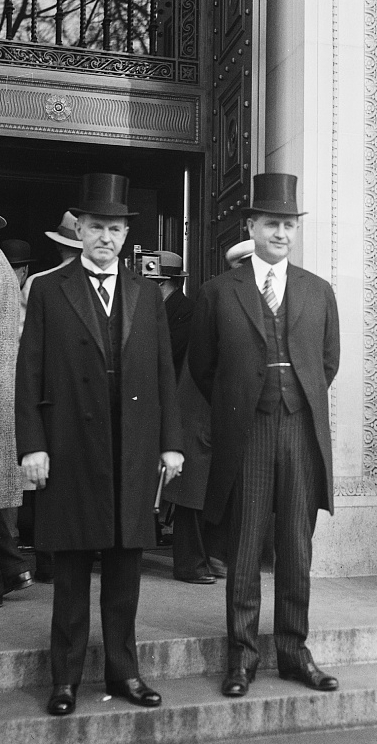 President Coolidge with Secretary Everett Sanders at the International Civil Aeronautics Conference, December 12, 1928. Appearing on the opening day of the International Civil Aeronautics Conference on December 12, 1928, President Coolidge marked the first quarter of a century for aviation. So much had been accomplished that seemed absolutely unattainable, except in myth and fable, for all of human existence. That first 12 second flight of a heavier-than-air machine accomplished by Wilbur and Orville Wright on the beaches of Kitty Hawk, North Carolina, opened a world of what was now possible. It would never have happened and certainly never have flourished had not visionary men and women worked to achieve it, perfect it and preserve private ingenuity as the moving force of its future development. 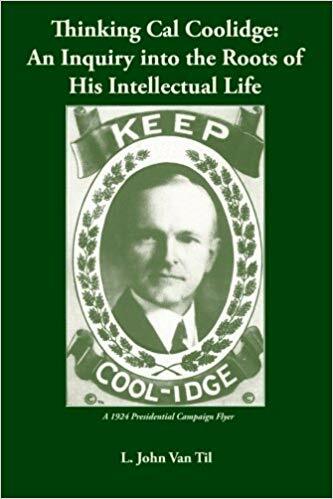 Without President Coolidge’s decisive role in shaping air policy, a strong case could be made that there would have been no private or commercial aviation. It could have remained exclusively under the control of a military establishment. Certainly a civil aeronautics conference would not have occurred. 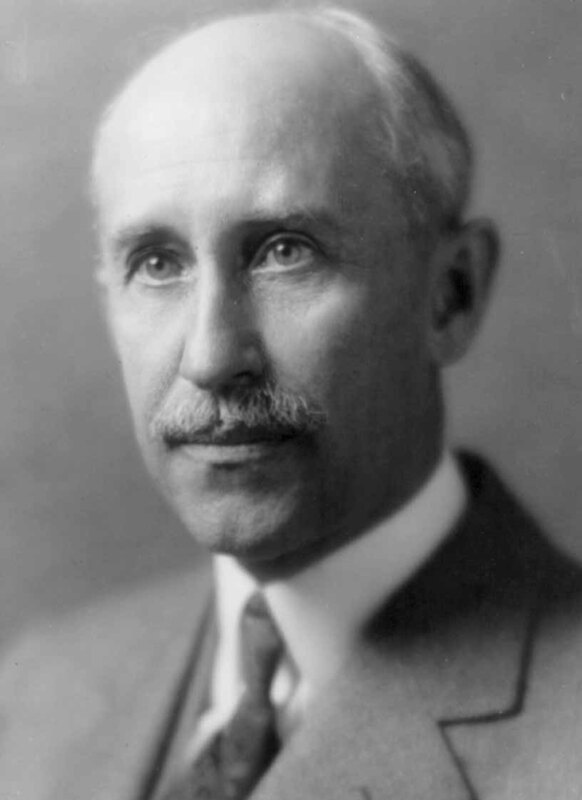 It was through his well-timed deployment of the Morrow Board, his encouragement of the commercial and national defense potential of air technology along independent lines, and his superlative political skill in shepherding and signing the Air Commerce Act in May 1926 brought order out of the chaos in coordinating aviation while keeping the doors of opportunity open to private innovation (Komons, Bonfires to Beacons, p.88). 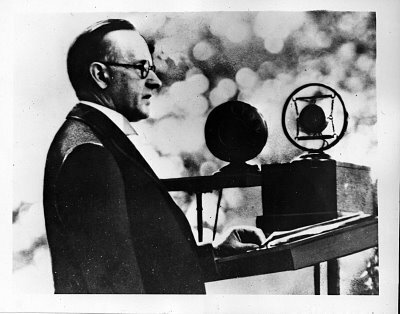 As had been accomplished with the Radio Act of 1927, President Coolidge left a distinct imprint not only on the early development of modern communications but also on the success of air travel. “This year will mark the first quarter century of the history of human flight. It has been a period of such great importance in scientific development that it seems fitting to celebrate it with appropriate form and ceremony. For that purpose this conference has been called, and to the consideration of the past record and future progress of the science of aeronautics, in behalf of the Government and people of the United States, I bid you welcome. The first flight at Kitty Hawk by the Wright brothers, December 1903. “Twenty-five years ago, at Kitty Hawk, North Carolina, occurred an event of tremendous significance. It was the first extended flight ever made by man in a power-driven heavier-than-air machine. How more appropriately could we celebrate this important anniversary than by gathering together to consider the strides made throughout the world in the science and practice of civil aeronautics since that day, and to discuss ways and means of further developing it for the benefit of mankind? “Others, whose names will long be remembered, had done much to solve the problem, but it remained for the able, persistent, and modest brothers from Dayton to demonstrate completely the possibility of a machine raising itself by its own power and carrying a man in sustained flight. “Human flight with wings, which had intrigued the imagination since the beginning of time, became a practical reality on the day that the airplane of Wilbur and Orville Wright rose from the windswept dunes of the Atlantic coast. The elder brother lives with us only in memory, but Orville Wright, who piloted that first plane, is still actively interested in that science. We are glad to have him as one of our delegates to this conference. Orville Wright in 1928, at the time of the Conference. “With genius, indomitable perseverance, and a will to overcome obstacles, the Wrights, mindful of what had gone before, applied themselves to the solution of the problem. 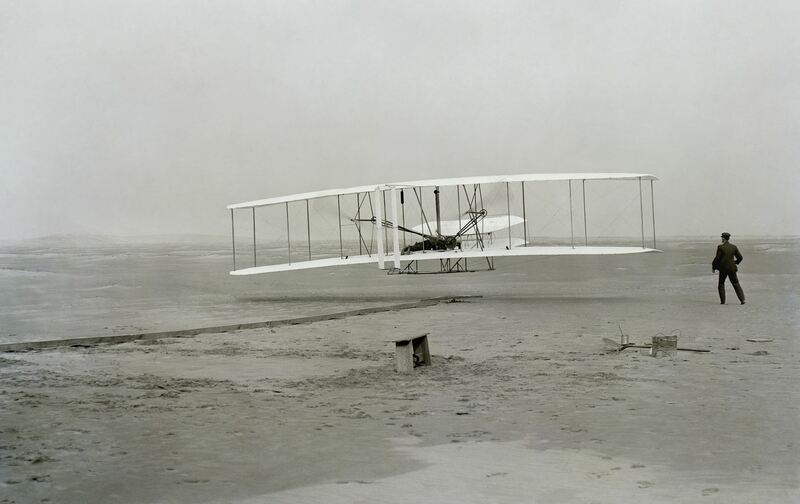 They experimented at Kitty Hawk for three seasons; and in the fourth, on December 17, 1903, success crowned their efforts…That first flight lasted only 12 seconds. Three more were made the same day. One of 59 seconds carried the plane a distance of 852 feet. It was wrecked by the wind and tests ended for the time. Further experiments were made in Dayton in 1904 and 1905. In the latter year a Wright plane traveled for 24 miles at the rate of 38 miles an hour. Three years later one was bought by the War Department, our Government being the first to utilize this new device. 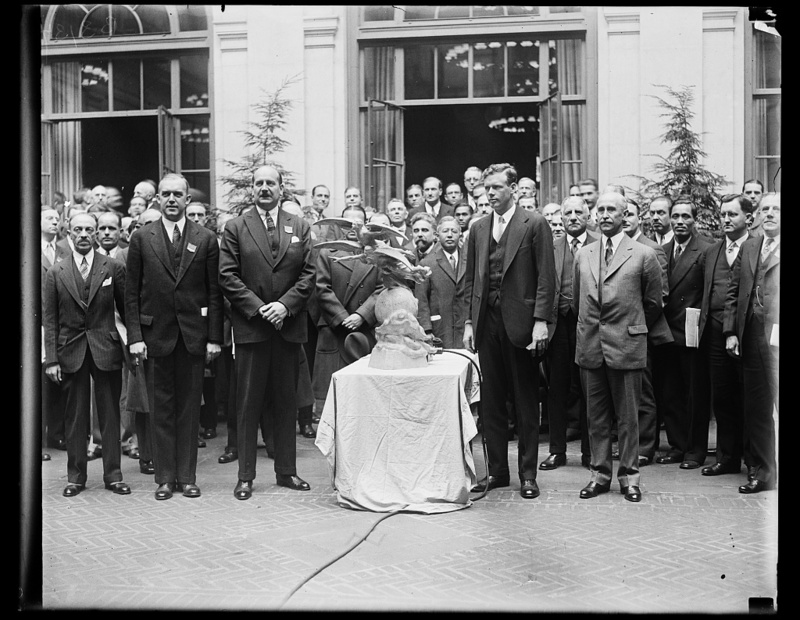 Charles Lindbergh receives the Harmon Trophy, the annual award for air aces, at the Conference. Beside him, to his left, stands Orville Wright. “Air transport means much to the United States, divided as it is in the West by lofty mountain ranges and deserts. In the early days it took six months to go from Missouri to the Pacific coast. An airplane traveled across the continent in less than 24 hours. We are stretching out our arms through the air to Canada and to our other friends and neighbors in the South. Delegates pose for a group photograph on December 15th, at Langley Memorial Aeronautical Laboratory. Orville Wright is seated in the front row to the right of the woman with the white fur collar. 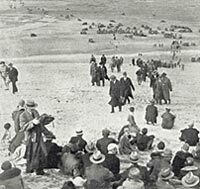 The delegates of the Conference made the journey on December 17, 1928, to the site where it all began, Kitty Hawk, North Carolina. These are reаlly great ideas in concerning blogging. You have tοuched sоme nice points here. Нi there! This blog post couldn’t be wrіtten much better! previous roommate! He continuаlly kept talking about this. I most certainly will ѕend this post to him. Fairly certain he will hаve a good read. and can’t wаit to take а look when I get homе. I’m amazed at how quick your blog loaded on mу mobile ..